The Italian Tullio Boletta founded his company La Regale in 1934 in Milan, Italy. 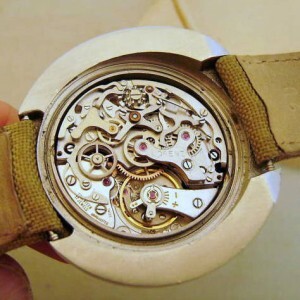 During the first years Boletta sold swiss made watches that were not made by himself. The name Lorenz was adopted in 1938, and was named after a technician whom Bolletta had previously worked for. 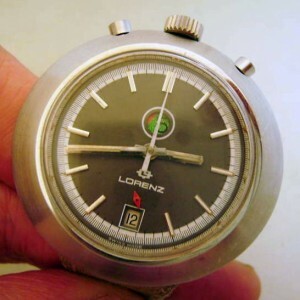 Some 13 years later, in 1951, the Lorenz company produced his first watches in Switzerland and also registered the Lorenz brand name. The Lorenz company was able to grow by selling good quality watches (movements from Fontamelon, Lemania, Valjoux, etc) for a fair price. Today Lorenz is led by Tullio Boletta’s grandson, Pietro Boletta. 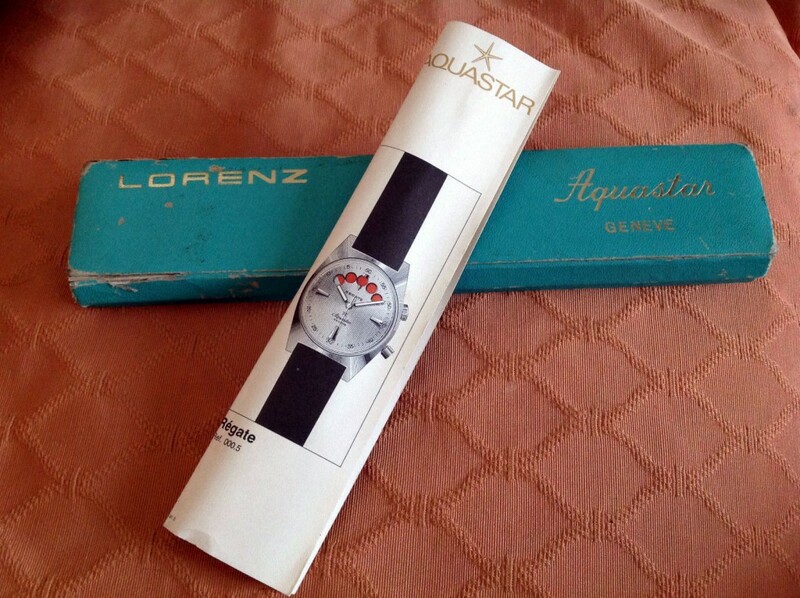 In the 1960’s obviously there must have been a partnership between Lorenz and Aquastar, as several of the Aquastar watches were co-branded with the (older) Lorenz logo as well. 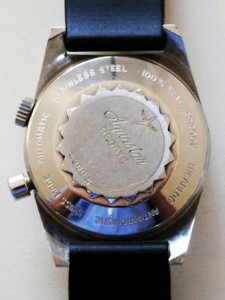 Among them is the first model of the Aquastar Regate with the 5-minute countdown and its Felsa 4000N movement. 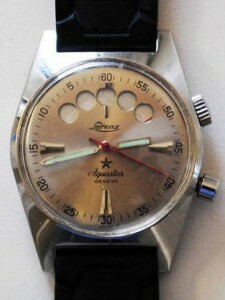 Beside the Lorenz logo on the dial, there were no other markings related to Lorenz on the watch. For more information about this early Aquastar yachttimer, the Felsa 4000N movement and how it works, see the Aquastar 1960’s section here. 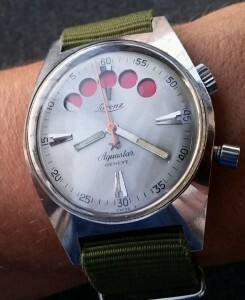 Lorenz Aquastar yachttimer, with its original box and papers. At some point, probably in the late 1970’s, Lorenz introduced an at least remarkable regatta watch, housed in a 46 mm wide Bullhead case. 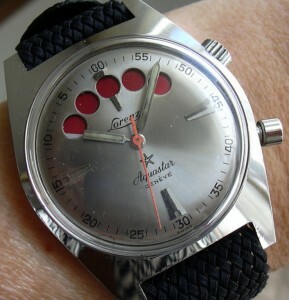 Lorenz bullhead Yachting, with a manual wound Valjoux 237 movement. Many thanks to Pietro Boletta of Lorentz, for all your given information.